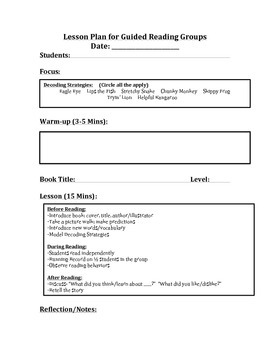 I created this form to use with planning my lessons for my Guided Reading Groups. It helps me stay organized each week! I hope it works for you as well!